Fibonacci, Fractals, RSI And CCI Trading. market forecast tool that is the predictive fractal patterns. The predictive fractal patterns have nothing in common with the well talk about fractals. the financial market prediction or forecast. It is always a dream comes true when one already knows what the price-action will do before it takes place. Though, that is not an exact science, the feeling that one felt as the price is fulfilling the expectation (forecast or prediction) is indescribable. 2/ To equip online traders with the best knowledge and understanding of the Andrews pitchfork tool. Truly, one can not call oneself an advanced technical trader if one does master the pitchfork tool like an expert. Apart from the normal ways many use the pitchfork tool, there are more advanced pitchfork tool trading techniques one can learn and use today. YouTube channel will help traders to make Andrews pitchfork work a little bit more harder for them. 3/ To help a normal Fibonacci trader become a more clever Fibonacci trader. Moreover, to show Fibonacci traders how to sharpen both their Fibonacci retracements and extensions trading strategies like a pro. 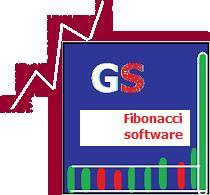 Also to master Fibonacci clusters and the sweet spot Fibonacci trading tactics. 4/ To teach financial markets participants how to trade the oversold and overbought RSI oscillator and CCI indicator more precisely. To quickly help CCI and RSI traders correct their CCI and RSI day and swing trading mistakes. (Relative Strength Index). Know also about the best CCI indicator settings and its ultimate role. 5/ To reveal to traders how the professional traders use the trading volume in the stock market. To share the secrets of a successful volume stock trading. Understanding the trading volume, removing past misconceptions about the trading volume, and avoiding those undesirable volume technical analysis mistakes. If one is a stock market trader, one has the right and duty to learn how to use the volume bar indicator like a king. 6/ To boost candlestick bars and patterns trading strategies for free. Furthermore, to give traders a clear understanding of the candlestick bars and patterns. To shed more light onto the candlestick technical analysis. Our aim is not to repeat the same story about candlesticks trading, but to assist candlestick stock traders become more competent in using the candlestick bars or patterns. Truly, what matters to technical traders is what practical trading education will help them make better trading decisions. It is nice to know about the candlesticks, but the most important part is the practical bit. And that is what we will be caring about on this website and its YouTube channel. 7/ To demonstrate to scalpers the best scalping trading strategies that they ought to deploy; and become a bigger fish scalper without being fried by the expert scalpers in the financial markets. Scalping is a highly lucrative trading business for those who master it. However, there are scalping trading rules, and best practice scalping approach. It is risky, exciting, addictive, fast and furious too. 8/ To assist gap traders use more robust gap trading strategies. Also to clear all gap trading confusions that often arise. Therefore, help gap traders gain certainty in their gap trading. What does it mean when a stock gaps? What is gap and go trading? What is a gap up? What is gap up strategy? 9/ There are to levels of advanced technical analysis. The first is the mastery of the Elliott wave principle, but the second is about using fluently the predictive fractal patterns, Fibonacci, Andrews pitchfork tool and the trading volume. Generally, beginner technical traders start learning how to use the vast array of technical indicators. Then, one day, the left hand side eye pops open and they say “now I will start learning about Elliott at 24elliottwaves.com and its YouTube channel”. Another time, the right hand side eye widely opens and they say something like this “ may be I need to start mastering predictive fractal patterns, Fibonacci, Andrews pitchfork tool, dynamic trend lines and the trading volume”. That awakening will happen at one stage as a technical trader endeavors to become a more advanced technical trader. 10/ I always enjoy helping beginners and advanced technical traders both on our websites and YouTube channels. People always say to me why do you do that? My answer is an orderly trading environment is a healthier one. When there are more intelligent technical traders or market players in a financial market, that market is healthy. You do not want to trade with others who do not understand the financial markets or trading tools that they are using. They will just cause you loss, and it is not their fault. That is why many hedge funds, investment banks and professional traders abhor the “dumb money” or retail traders that are still learning how to trade or invest. Trading foreign exchange,stocks, commodities, options, futures, carries a high level of risk and may not be suitable for all investors. Before deciding to to invest in foreign exchange,stocks,commodities,options or futures, you should carefully consider your investment objectives, level of experience and risk appetite. The possibility exists that you could sustain a loss of some or all of your investment and therefore you should not invest with money that you can not afford to lose. You should be aware of all the risks associated with foreign exchange, stocks, commodities, options,futures and seek advice from independent financial advisor if you have any doubts. This website Day-Pro-Traders is about day trading, commodity channel index (CCI), relative strength index (RSI), stock charts, and how to use fratals trading strategies, Fibonacci or core value analysis to trade currencies, stocks, futures and commodities.